I ordered that bag last week:) I think F21 is using a horse & wagon to get it to my front door though if the tracking is any indication. I'm crossing my fingers that the higher price tag means a bag that won't disintegrate after one night. Higher price tag?! 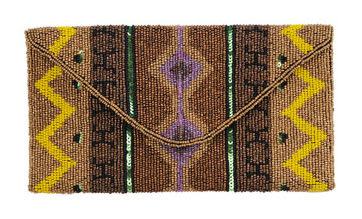 I was just going to say, how can they possibly be selling a beaded clutch that cheap! Regardless, it looks like a great find. Yes, it's a miracle. Here's some up-close pics of the bag--and it looks pretty great!